Consulted across a broad spectrum of the business from start up phase; business model design, digital/social media, communication and PR strategy, marketing and design. Oversaw implementation of website, videos, product launches. Designed 'Dama' table light and bowl which was previewed at Salone Internazionale del Mobile, Milan 2012. Italian designer Lucia Bruni founded Lucirmás in Barcelona, Spain in 2006. 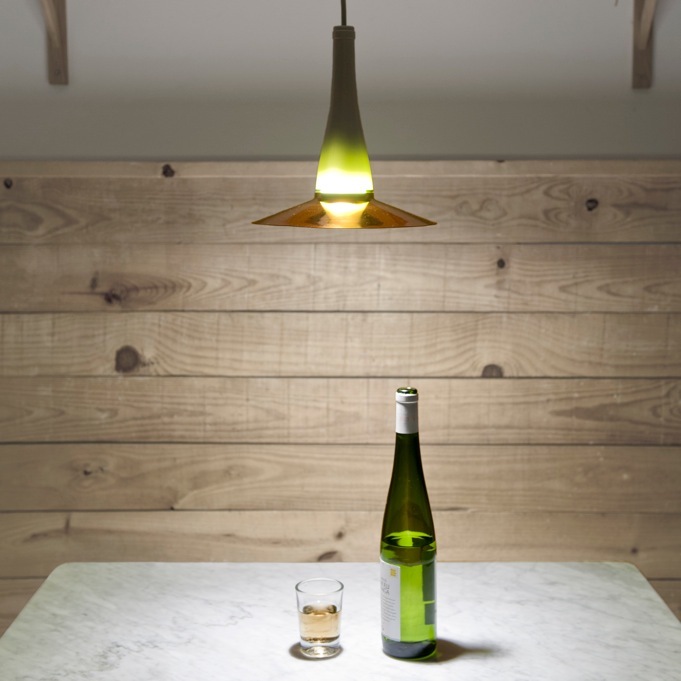 Lucirmás designs and produces sustainable glass products which tell a story. 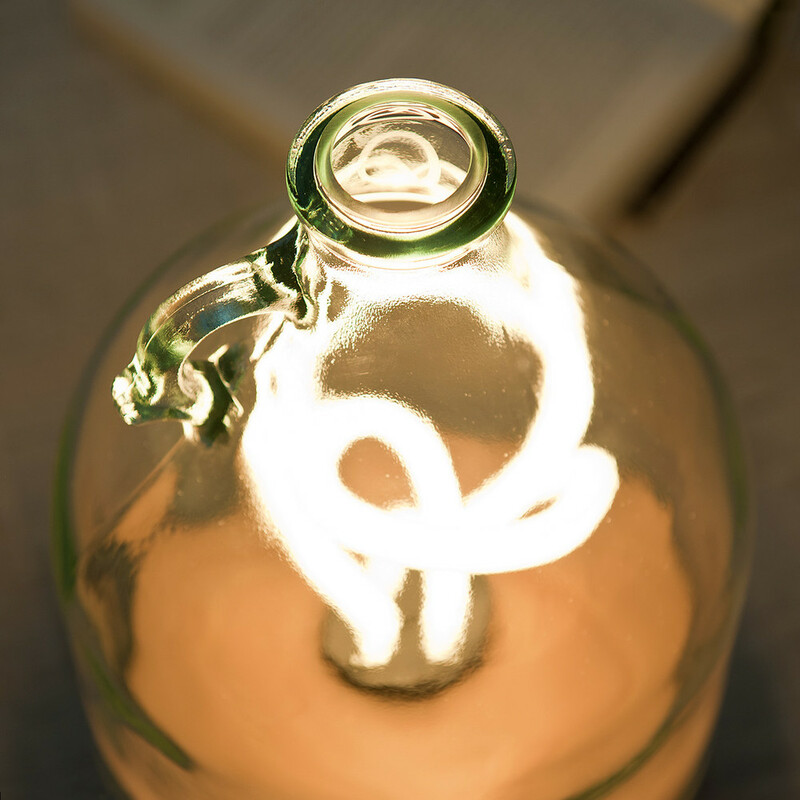 They make original, handcrafted objects from 100% recycled glass, offering the quality of a beautiful, artisan product. Lucirmás' mission is to create products which make the most of the charm, value and versatility of recycled glass. Photos: Lucia Bruni at work in the studio, Pure-Bottle by Lucirmás, La Flor Pendant Lamp by NutCreatives (photos by VictorMaxPhoto). - Grown to become Spain's leading glass upcycling brand. 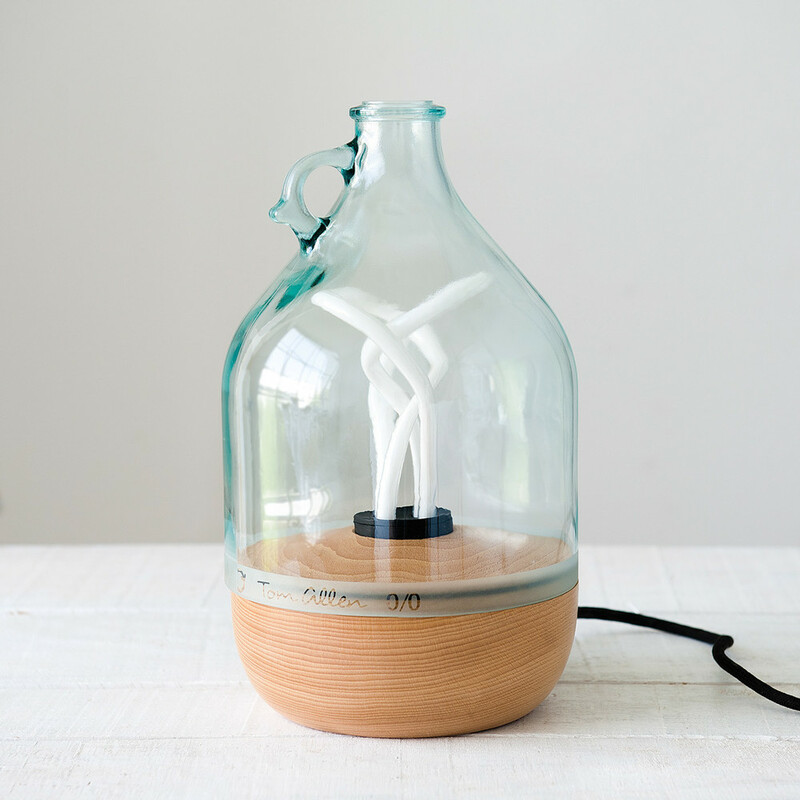 MADE FROM UPCYCLED, RECYCLABLE AND SUSTAINABLY CERTIFIED MATERIALS, THE LAMP WAS FIRST PREVIEWED AT THE SALON INTERNAZIONALE DEL MOBILE IN MILAN 2012 AT SUPERSTUDIO PIÚ and has become Lucirmás leading product by sales. Inspired and made from beautiful, 5 litre glass vessels (commonly used for storing wine or oil in Italy), their charm gives that warm feeling you get observing an old, masterful Italian cook, craftfully preparing a delicious meal. Perfect as a table lamp for a variety of settings, users can easily remove the glass 'lampshade' with the original handle, which makes cleaning an easy process. The beech timber base is PEFC certified ensuring both the designer and producer's intention to practice sustainable design. 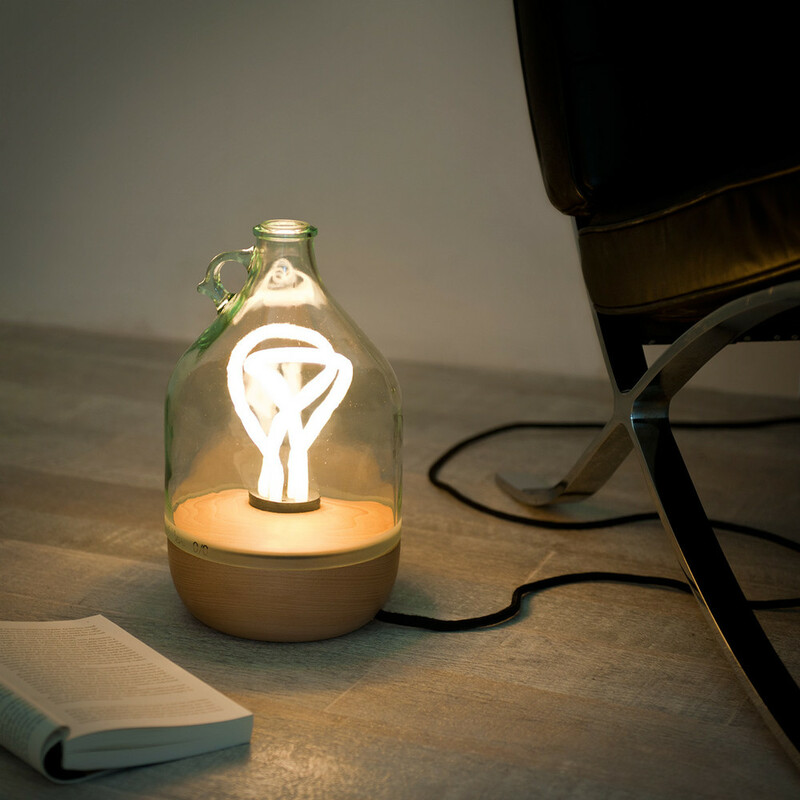 The lamp is entirely handmade in Barcelona with the highest attention to detail and craftmanship. Each lamp is personally numbered. Using a low energy Plumen 001 lightbulb (which has a lifetime of 8 years), Dama is sure to be the talking point in your home, restaurant or hotel. - Lucirmás' leading product in sales and popularity. - sold internationally to hotels, restaurants, bars and households across the globe. LUCIA BRUNI, FOUNDER AND DIRECTOR AT LUCIRMÁS, SPAIN. "I contacted Tom Allen during the most important time for my company - the launch of Lucirmás. During the time I've worked with Tom, he has proven to be a very competent and serious professional with a great ability to confront challenges and resolve them. He shows commitment while paying attention to each detail and is always enthusiastic to discover and experiment with new strategies. When it's been necessary, he has dedicated time to broaden his knowledge to be at the forefront of new communication tools. Personally I am very happy to have him as part of my team. He has never let me down; in fact he has exceeded my expectations. In many occasions he has known how to predict problems and plan effective solutions. Tom is an ideal collaborator, not only for his professionality, but also because he is a person which does everything with positivity and enthusiasm."